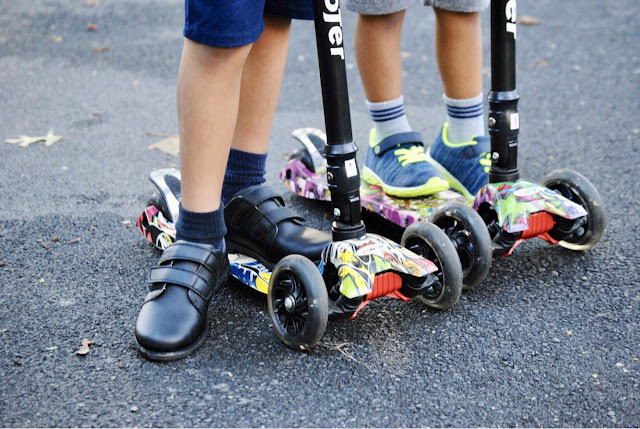 mommygorjess: Ready for School with PediPed + GIVEAWAY! Schools right around the corner, and if you are like me than you understand all the worries that go through your mind two weeks before school. Im worrying about it all. Will they be happy? Will the kids all be nice to them? Will they like the school lunch? Will they feel comfortable through out the day? Comfort is huge to me, because it can literally make or break their school day. Just as an adult when I go to work I want to make sure I am wearing clothing and shoes that will keep me comfortable all day so that I can feel motivated and confident, kids are no different than us. They need shoes that will help them feel good about trying out something new in gym class, or moving from one class to another. 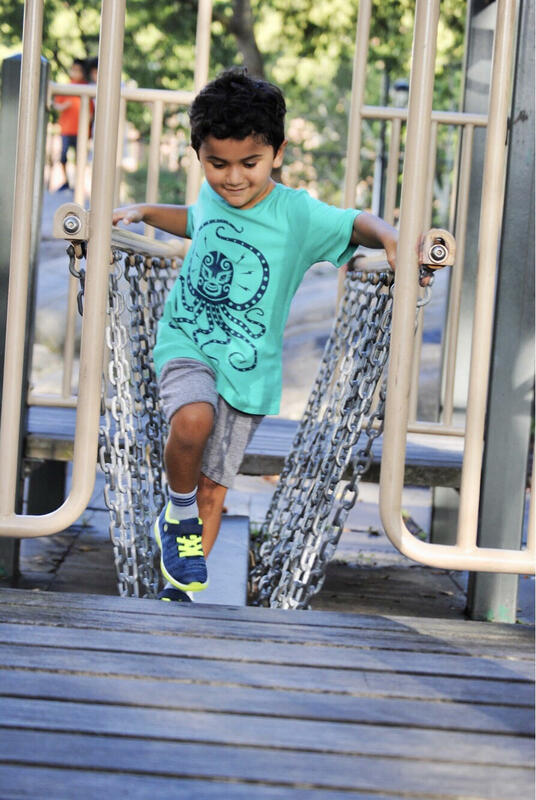 Our little ones are extraordinary in plenty of ways, but mostly in the way that they can adapt to new surroundings. I can only imagine how it feels like as a five year old to enter a huge building filled with children and adults you have never met, and classrooms you have never even imagined. So what they are wearing can easily boost their confidence to help them get past the scary first time moments of the school world. 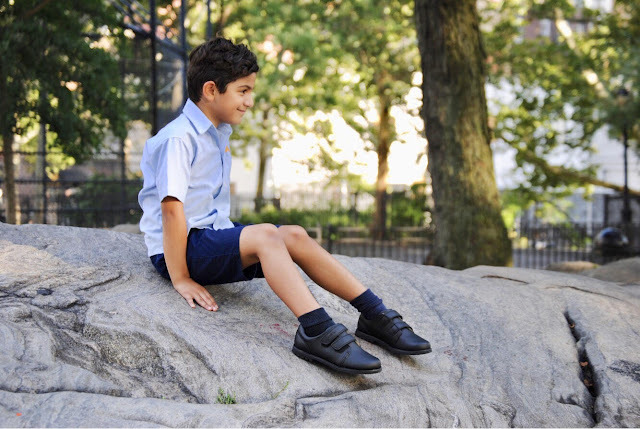 I have partnered with PediPed to share with you guys how much of a necessity a comfortable yet stylish shoe is when it comes to heading back to school, no matter what school you attend. My oldest will be starting 2nd grade at his elementary charter school, and I absolutely love the fact that school shopping isn't too stressful when it comes to charter school. We are given a uniform in which he has easily grown comfortable with, and all we must figure out is finding the perfect all black, no lace shoes. Now, like every seven year old on this universe you must know he is super particular, and does not like shoes that are too heavy, or hard soles, it has to feel perfect. Perfect enough to which he can get to school every morning, and then run around with them at the park after school. I have not had much luck, and lets just say this momma has been breaking the rules just a tad bit since it has been a hard find for us. But when we tried on the the Pediped Flex Alex Black shoes I was so happy to hear him not say one word about how uncomfortable they were. He said he really felt the difference between these and all the other ones we have tried before. You have no idea how ecstatic I was that I was not going to have to deal with the hunt for a perfect school shoe two days before the first day of school. They were very true to size, but also work with the flex fit system which provides additional inserts that can be inserted for a snug fit then removed for room as your child's foot grows. These inserts can reduce shoe size by almost half a size, extending the life of the shoe. They also are very easy to clean. I loved the simpleness of them with the velcro straps. These shoes are made of premium, high quality, distressed leather and a flexible rubber sole. As for my four year old he is starting Pre K in September and they just ask for them to be in comfortable running shoes, that are breathable for any season, as they do go outside in cold weather as long as its weather permitting. I know he loves bright colors, and I love them too so he can stand out and it really does show his colorful personality. He has such an outgoing spirit that bold shoes always catch his attention. So when we were looking on the website I had a feeling he was going to point to the Flex Squad Navy sneakers. They look sporty and simple for small hands to put on all on their own, with the velcro straps to give them full support. There is nothing more that my little one loves than running around all over the playground, and with a long day of school ahead of him and so much activities from dance, to dramatic play I know these shoes will keep him on his feet all day with no problem. With the Ultra Light Technology it is specially designed to support kids’ feet in all activities while remaining light as air. It has flex grooves for natural foot movement and maximum flexibility, heel cushioning that distributes pressure evenly, and a breathable mesh upper that allows airflow through the body shoe. Plus they are machine washable, whats better than that? Because we all know a four year old spills just about everything, everywhere so knowing they will last through everything is reassuring. The most amazing thing that I love about Pediped is that they are approved by the American Podiatric Medical Association for promoting healthy foot development. So, whether your child is in public, private, charter, preschool, or daycare you can rely on Pediped to have an amazing selection of comfortable and stylish shoes for your little ones. 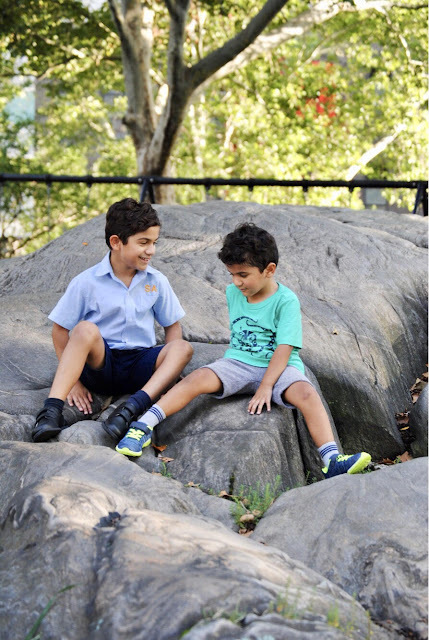 After all, first impressions are important so lets make sure our little humans are able to fully enjoy their first days of school feeling trendy and comfortable. And this momma won't have to worry about a thing. Well, one less thing! One of my lucky followers will be able to pick out their own pair of Pediped footwear for their little one! Just click below, and good luck! The winner will be announced on Tuesday,August 21st at 3PM! - This is a paid partnership with Pediped, but as always all opinions are of my own. I only work with companies I truly support, and believe in. How cool always looking for a great pair of shoes for my critters. Def gonna check them out, thanks. BTW your boys are sooo handsome two models.